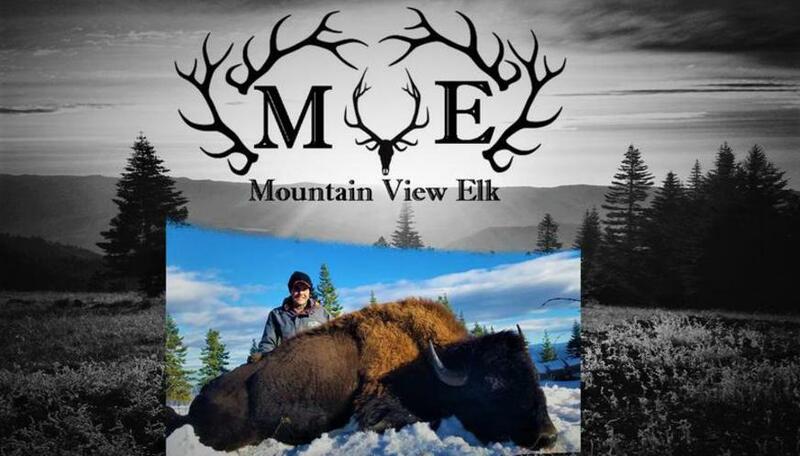 Mountain View Ranch is now offering a limited number of buffalo hunts. Hunting these enormous animals in the beauty of the Salmon River Mountains is an experience you won’t soon forget. 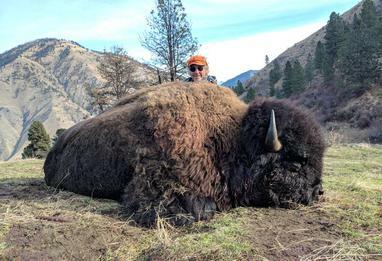 We offer buffalo hunts in the months of November and December when the hides and capes are in prime condition. We offer cows, young bulls and trophy bulls. These animals can weigh anywhere from 700 to over 2,000 pounds! Old bulls can be aggressive and short tempered and are amazingly quick and agile for an animal that large. The hunt is fully guided and your guide will carry a backup rifle in the case of a short tempered bull deciding to charge. This is a guaranteed hunt and you can choose your weapon. 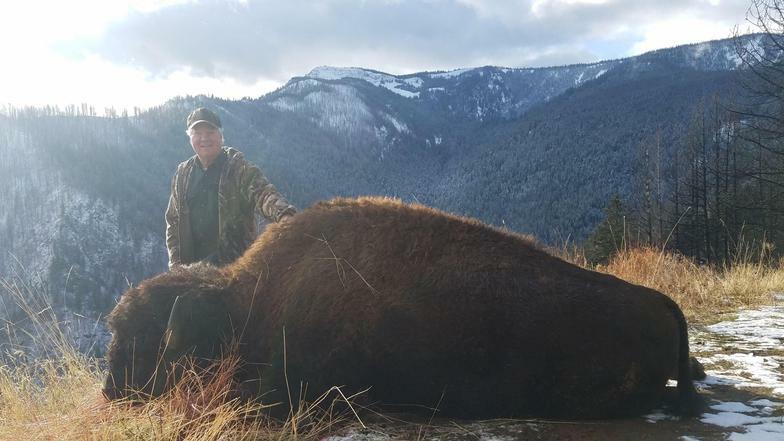 Your buffalo hunt includes trophy care, packing out, skinning and quartering of the animal and 2 days and 2 nights of meals and lodging. There are a limited number of hunts that will fill up quickly so give us a call and book your Hunt today. Bison Hunts are available from September 1st to December 1st. There are no licensing or age limit requirements. Buffalo hunts include two days of guided hunting on our private ranch, lodging, all meals and non-alcoholic beverages.